These are extradimensional beings that have lost their Consciousness connection to god source and are utilizing human and other beings as their food source (like a parasite) to live thousands of years. They do not have emotions as humans have but are highly intelligent as they are working on higher mind principles than the human Three Layers of Ego. They are similar to a Mad Scientist that manipulates and genetically modify human beings, similarly as a farmer interested in gaining more resources out of his herd of cattle on the farm. They consider humans an investment in their energy resource portfolio. TheNAA can be best understood as a Psychopathic personality or identity profile with a Lack of Empathy that has no feelings of remorse and no caring towards human beings. They regard human beings as inferior, stupid and many times use forms of mockery to create intentional harm for their own amusement. These beings have been manipulating the human world of affairs for thousands and thousands of years, since the Atlantian Cataclysm for their own purposes. See the Ages of Humanity. These are inter-dimensional and extra dimensional beings known as Fallen Angelic in ancient history and they use many technological manipulation methods to Mind Control and negatively manipulate the future direction of the human race. Once such negative manipulation is installing the Armageddon Software into the planetary brain in order to install False Father Negative Alien Religions based on serving the Yahweh and Jehovian Annunaki Collectives. See Dark Force Manipulation Methods and Mind Control. To be able to understand the sociopathic sick mind of Archontic Deception systems, one would need to better understand the general attitude of an AD infected human or nonhuman (NAA) as having little to no remorse or empathy. If a technologically advanced extradimensional race has decided to implement a gradual takeover of a planet and its inhabitants, what kind of strategy would it use? First they would look to how they could maximize the efficiency of the invasion process and reduce the expenditure of resources that they have to generate themselves.To achieve this goal the secretive infiltration of the core societal organizational structures such as: religions, medical, financial and legal systems, would be ideal to shape the value systems that generate reality belief systems they want to control. Through the engineering of a labyrinth of self–enforced enslavement policies based on fear and intimidation among the earth inhabitants, they would achieve the use of minimal “off planet” resources by piggy backing on the earth-human resources. The people on earth would effectively enforce their own enslavement as well as enslave their own global human family by giving up their rights and their resources. This is very effective for takeover and invasion with minimal resistance or revolt by inhabitants who are unaware they are being invaded. This is called the Archontic Deception Strategy. One of the heightened events of “enemy patterning” buried in our cellular memory history is that of the Luciferian Rebellion which reached its apex during the end of the Atlantian Root Race (human evolution) cycle. From the Guardian Founder Races perspective this was the end result of our last Aeon or Astrological Age, approximately 26,000 years ago by our human timeline measurement. What resulted in our Atlantian evolution experiment was quite a traumatizing cataclysm that set the events into motion as to what humans would experience in the next Aeon cycle. The last 26,000 years have been a dark cycle of evolution and planetary “rule” from the Negative Aliens that formed the NAA strategies for human enslavement and trapping Consciousness. One of the largest lies promoted to divide our race is the War over False Gods promoted through Religious Violence. The false archetypal story of a Crucified Christ figure is a mockery to further enslave humans into believing in a salvation model through a Crucified Christ. It represents the tortured human being, as we are all the Christ, and we have been crucified/implanted as our planet was invaded. These structures are called Crucifixion implants. These Crucifixion Implants are tangible control structures placed in the 7th dimensional logos, and therefore it is in our individual bodies, in the 7th dimensional chakra, its complex, meridians, and the entire left side (our female spirit) of our bodies. 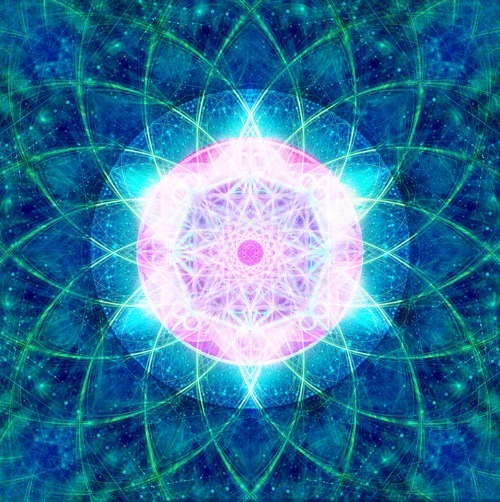 We are not aware of these implants until we open the 7th Chakra Seal and start connecting this part of our 7th layerLightbody to our personal consciousness field. This is a direct result of the Negative Aliens and the NAA strategy for enslavement through Mind Control.